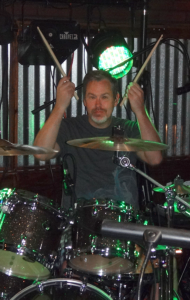 Brian Mohrman has been playing drums and percussion for 20 years. He started his music career in Austin playing for a club jazz singer. Shortly after he moved to Virginia and began working in the studio with fellow local musicians. Finally settling in Charlotte, North Carolina, Brian joined the newly formed band ‘Chief Joy’ after playing and recording with singer/songwriter Brian Hartzog. He joined the Logic in January, 2009. Brian is also a Master Herbalist and lives in Matthews with wife Tina and their two sons. He also sites Carter Beauford as a major influence and inspiration.